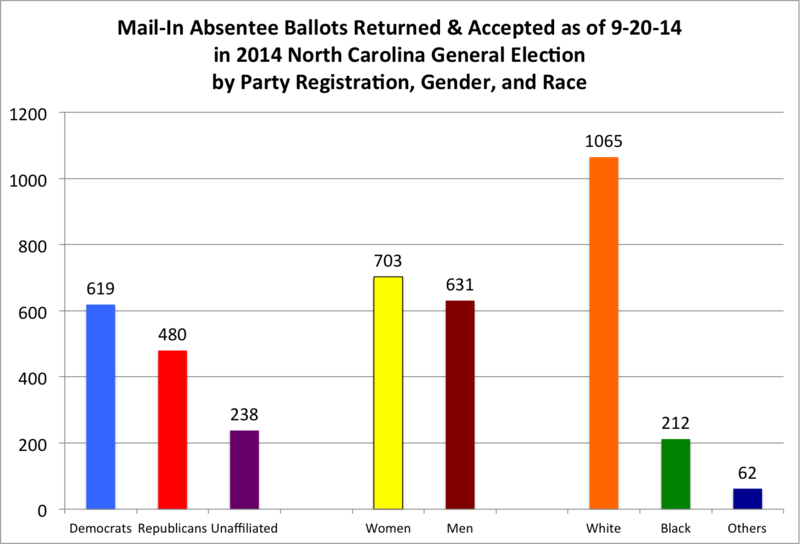 With 12,791 requests for mail-in absentee ballots for the 2014 North Carolina general election, we're continuing the trend of Democrats leading in both requested ballots and in returned & accepted ballots. 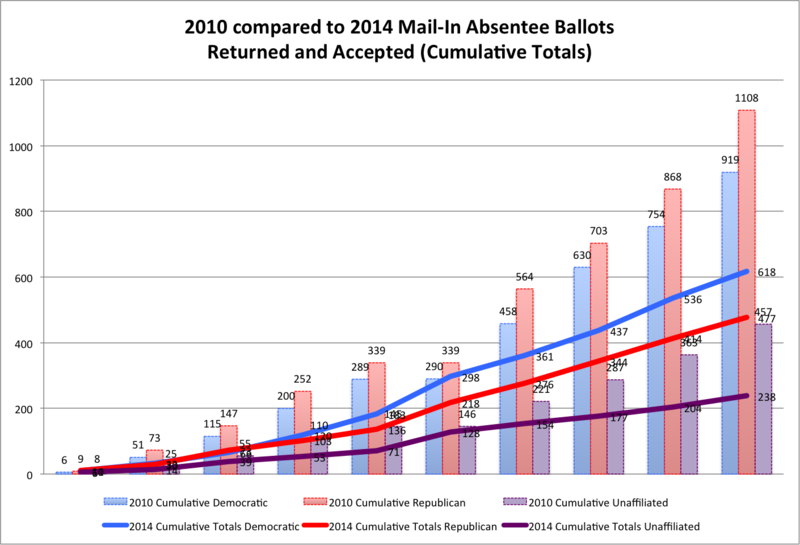 Currently Democrats are 42% of the requested ballots, with Republicans at 35% and unaffiliated voters are 23%. Democrats saw more requests come in (an increase of 7% over a 4% increase for GOP and 6% for unaffiliated from the day before), so their percentage ticked up one point while GOP voters went down one, in comparison to yesterday's percentages of the total requests. 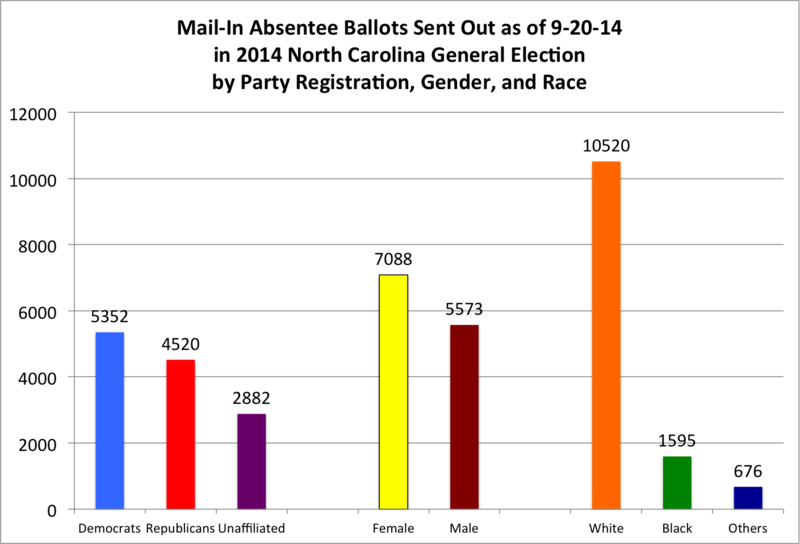 Women are still 55% of the requests, and white voters are 82% with black voters at 13%. Average age of the voter remains at 63 years old. 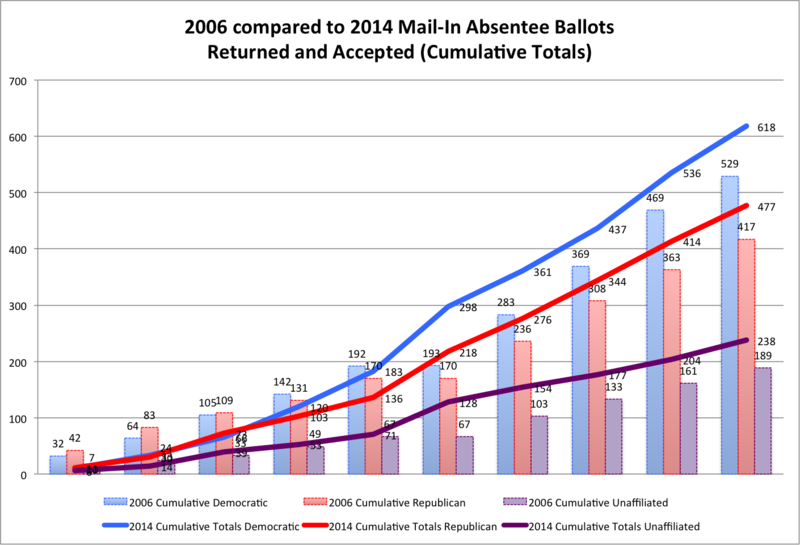 Comparing this year's first twelve days of mail-in returned and accepted to 2006, a Democratic year, we have to note that there was no major state-wide race (such as governor or U.S. Senate; h/t to Gerry Cohen). 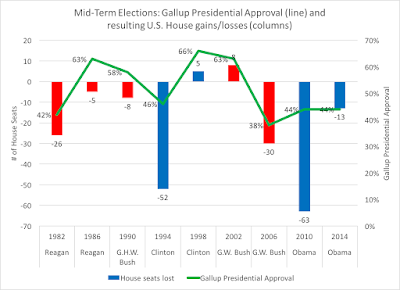 This year's numbers are tracking above 2006, but that Democrats led in 2006 and this year's is perhaps some indication of better energy and mobilization on behalf of Democrats in terms of the 'enthusiasm' gap that has indicated GOP dominance. 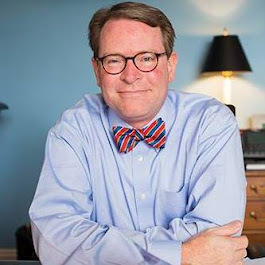 In comparing 2010, a GOP election year and one that saw a U.S. Senate race, the reversal of Republican dominance from 2010 to Democratic-leads would also seem to indicate a level of enthusiasm that was not evident in the 2010 Tea-Party insurgency.